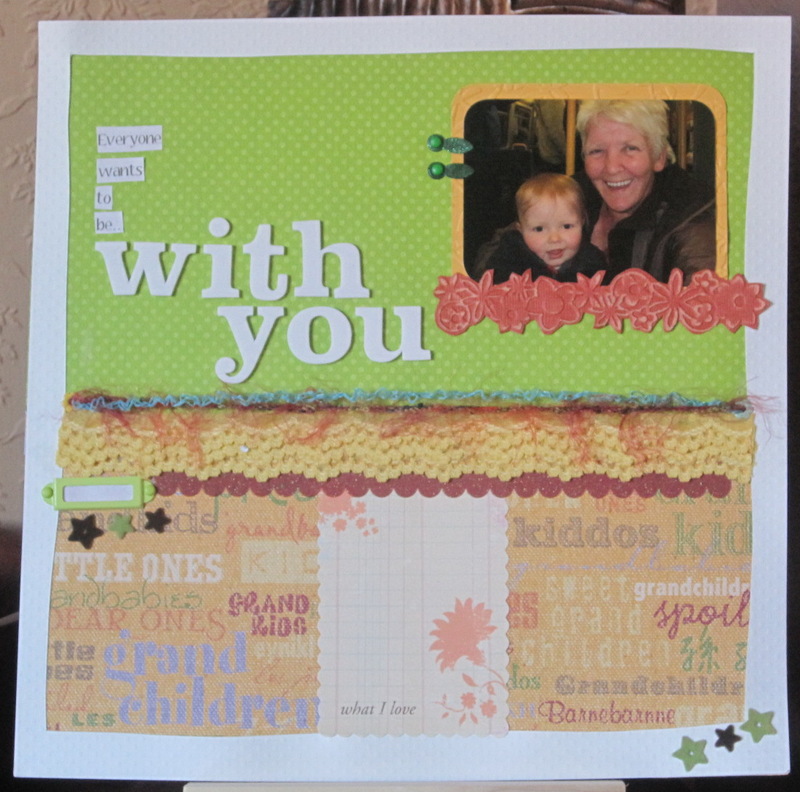 To put this layout together I used sketch 107 from Creative Scrappers as inspiration, I also used challenge 17 from Scrap it with a Song to help with the layout title – using lyrics from the song: With You by Jessica Simpson. I really enjoyed creating this layout and I think it must be my favourite so far. This is a layout about myself (for a change) and the flat top haircut I decided to have (somewhat unwisely) when I was about 17 years old. Unfortunatly the quality of the photograph isnt very good, but I still wanted to scrap it. I think the photograph was taken on Tynemouth Longsands but I am not 100% sure. 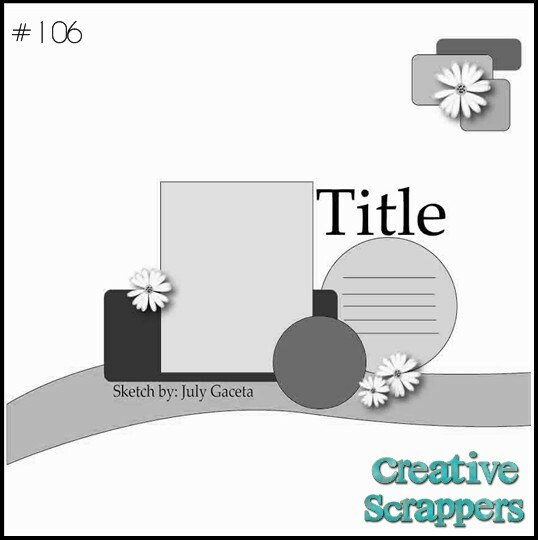 I used sketch 110 from Creative Scrappers which was my main inspiration. 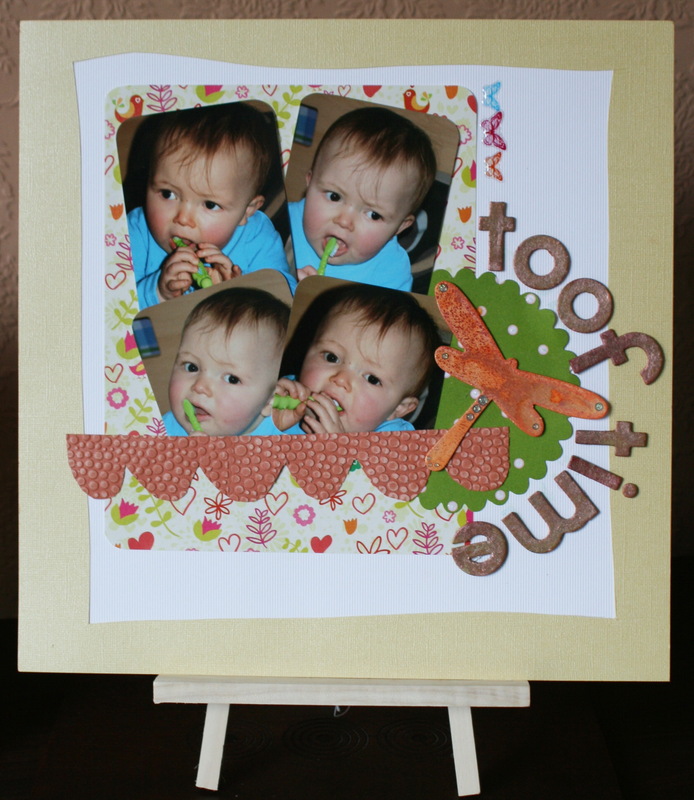 2 paper strips from Simply Cards and Papercrafts – Free Kit – The Never Not Collection. 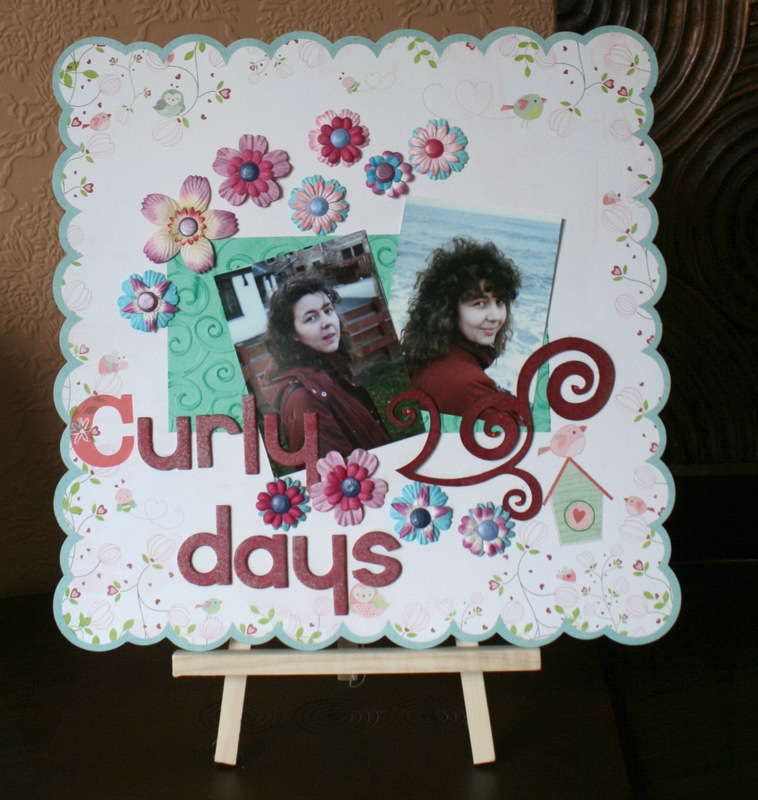 A journalling block from a free paper pad from Cardmaking and Papercraft – MME – Quite Contrary. Thickers in Rainboots – Colour Powder. Kaisercraft Rhinestones – Amber coloured. Liquid Pearls in Mint Green. Ooh, I nearly forgot – I Cosmic Shimmers on the chipboard flowers after embossing each of them with different pattern using my Cuttlebug. I had fun scrapping this photograph as it brought back memories long forgotten. I was going out with this lovely guy at the time and he had a ‘flat top’ haircut and I remember thinking ‘I should have my hair like that’. Well I don’t really think it was the best style for me. A day without scrapping is like a day without sunshine. Everyone knows what a LBD is – a little black dress right! Well a good few years ago I had a dress I really loved, except it was pink. When I wore it I always felt good. So when I rediscovered a few photos of said dress I had to scrap them of course. I used two different sets of letter stamps for the text, I also used a bird and flower stamp and coloured these in with Sakura Stardust pens. The paper strips around the top and sides is wrapping paper from Paperchase. I layered fabric flowers and a crochet flower with a brad on the bottom left of the patterned oraganza ribbon and a little girl in a ‘pink dress’ on the left. 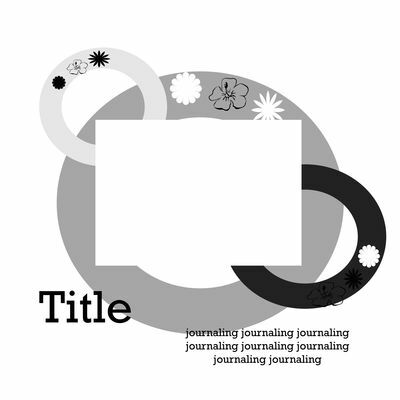 The journaling in tag is from 7 Gypsies 97% complete range. 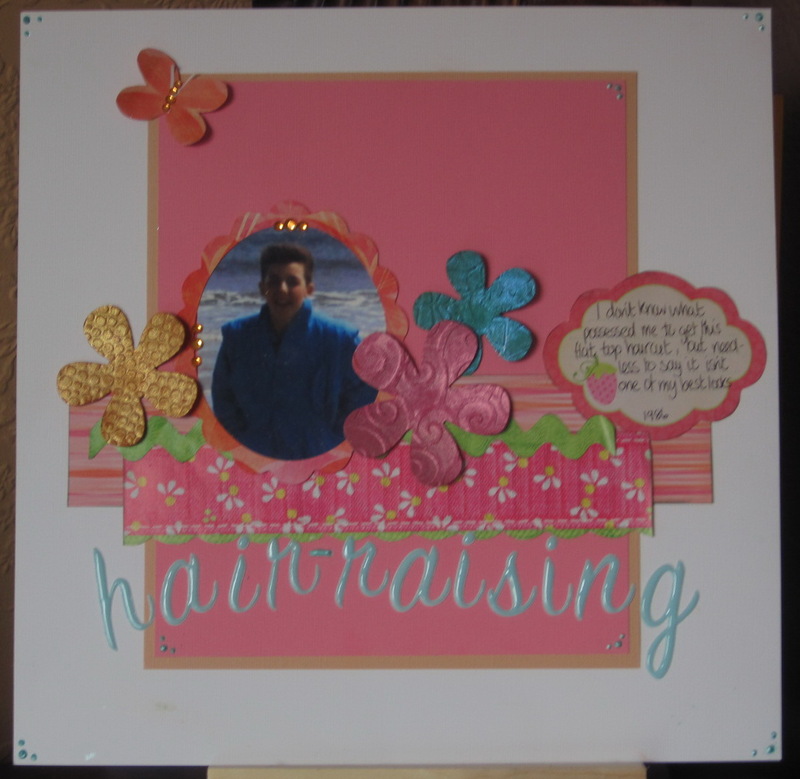 A day without scrapbooking is like a day without sunshine! 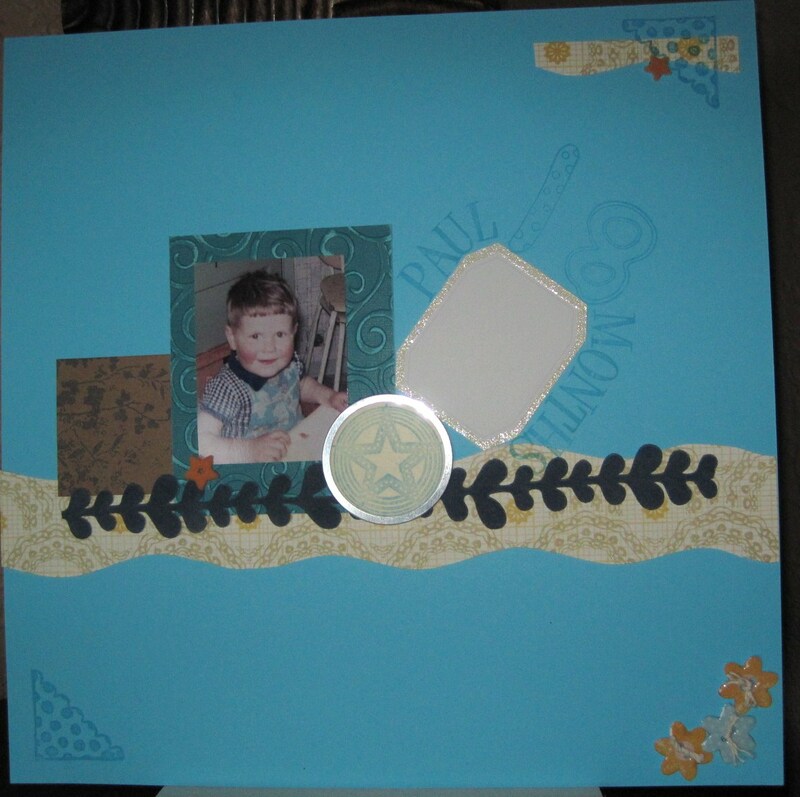 On Monday, May 10, 2010 on Scrap Tiffany the challenge was to scraplift another scrapbooker. 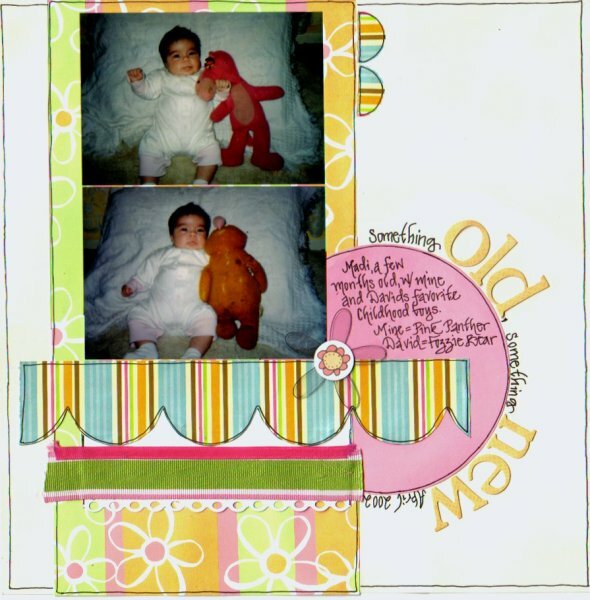 I saw Doreen Vasquez’s-‘Something Old, Something New layout on Scrapbook Challenges. 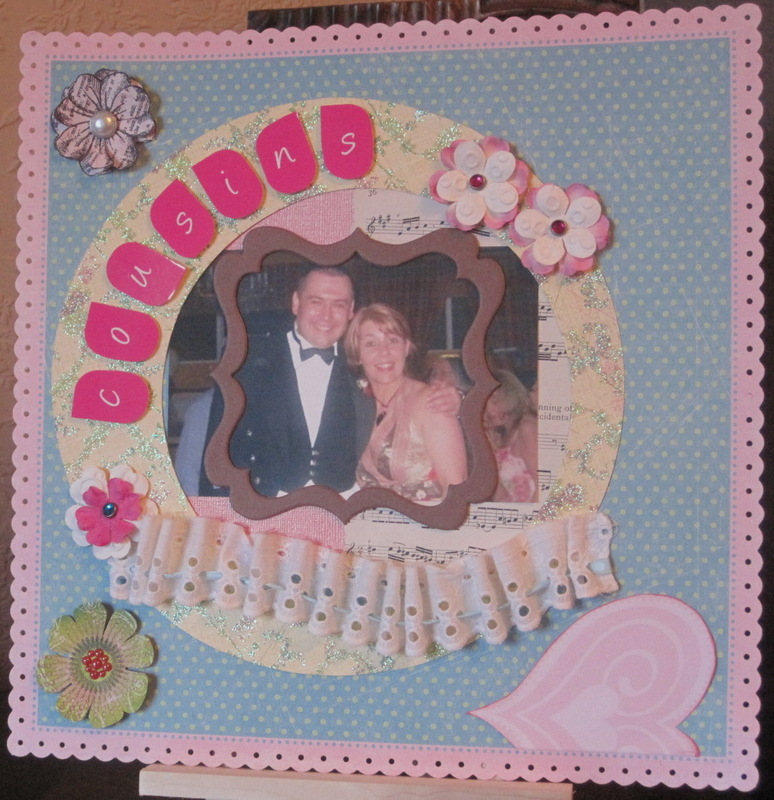 This is Doreen’s layout below. Isn’t it fab!! 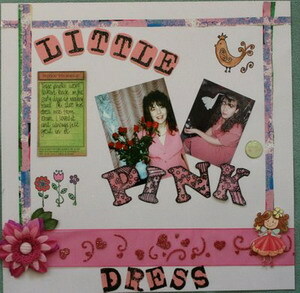 My scraplift is below Doreen’s. Would love to hear feedback on both layouts. 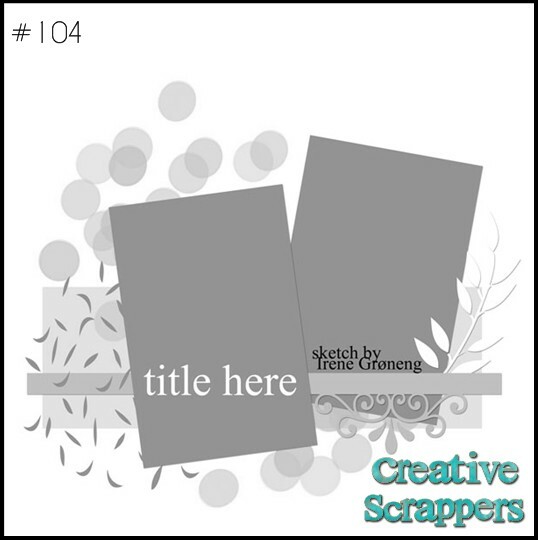 This is Sketch #104 from Creative Scrappers and beneath is my take on it. I really enjoying using this sketch as it prompted me to use flowers on a layout about myself, which is something I have always avoided for some reason. The paper is by Bo Bunny and the alphas by Maya Road. I ran the green card that is behind the photographs through the cuttlebug using the swirls folder and used a chipboard swirl spray with cosmic shimmer to compliment this.